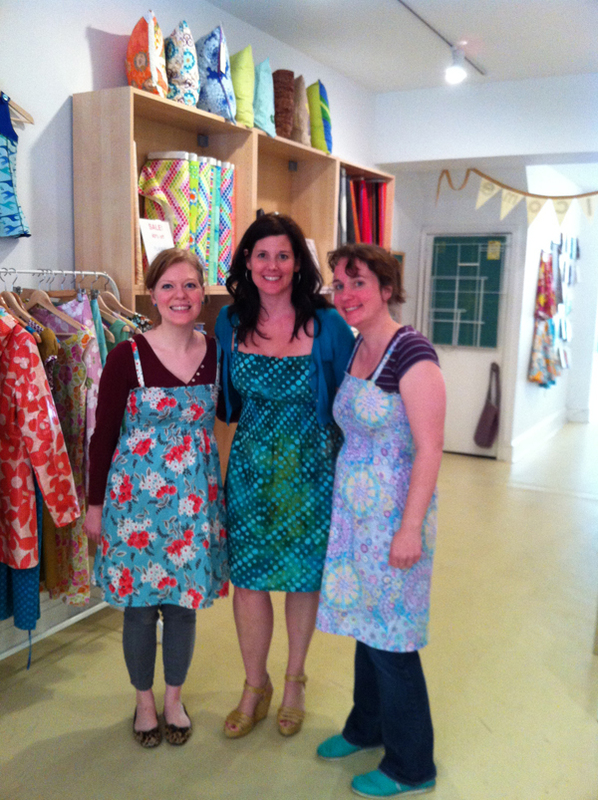 Meet Julie Lange of On 3 Designs! 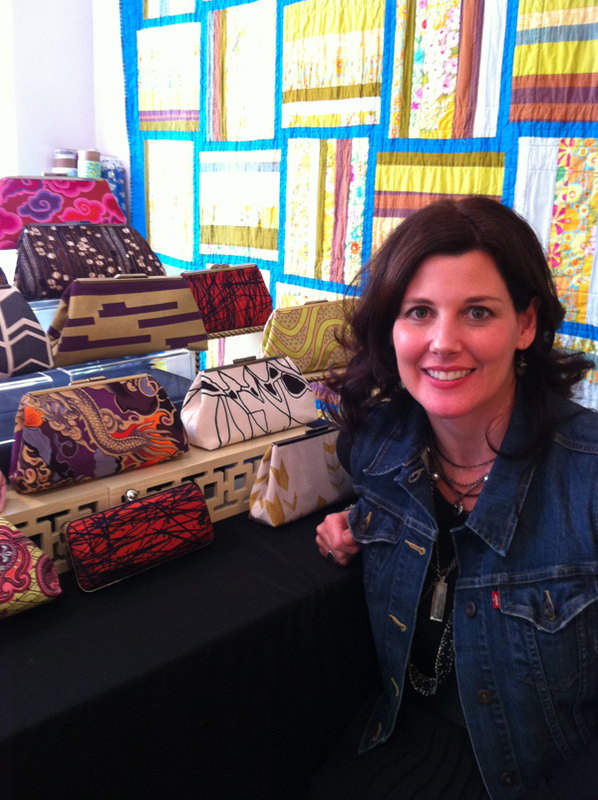 Next up in our series of Art Star Craft Bazaar Vendor Profiles is Philadelphia based textile artist/designer, Julie Lange of On 3 Designs. 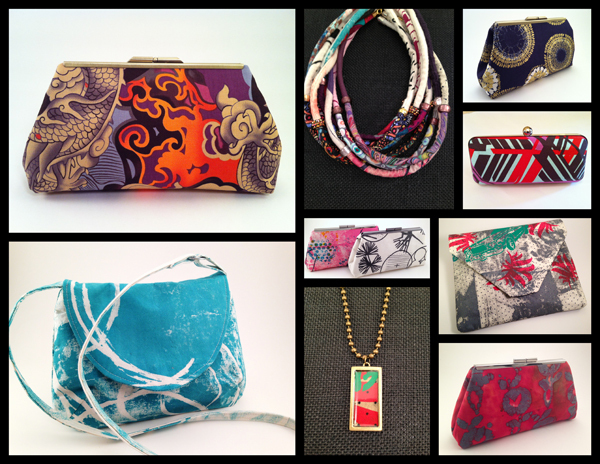 Julie crafts beautiful clutches, bags and purses from her own screen printed fabric designs. Visit her at the bazaar at booth #69! Art Star: Did you go to art school? If so, where did you study? AS: So where did you learn to do your craft? JL: I always had an interest in arts and crafts, taking classes on the side at local community colleges, etc. 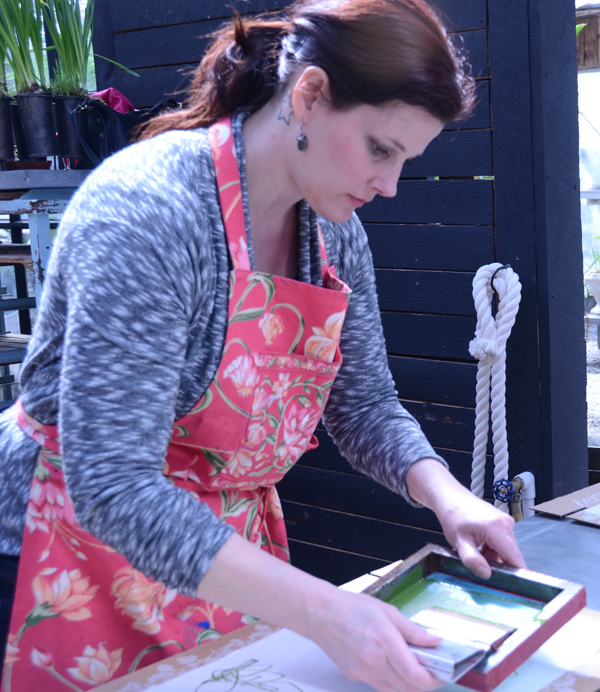 I tried everything – drawing, painting, pottery and frankly, I hated sewing until I took a class as an adult while living in LA…lower Alabama. Then I was hooked and so my addiction to fabric started. More recently, I learned to screen print from Candy Depew at the Candy Coated Center and from Bill Brookover at Fleisher Art Memorial. 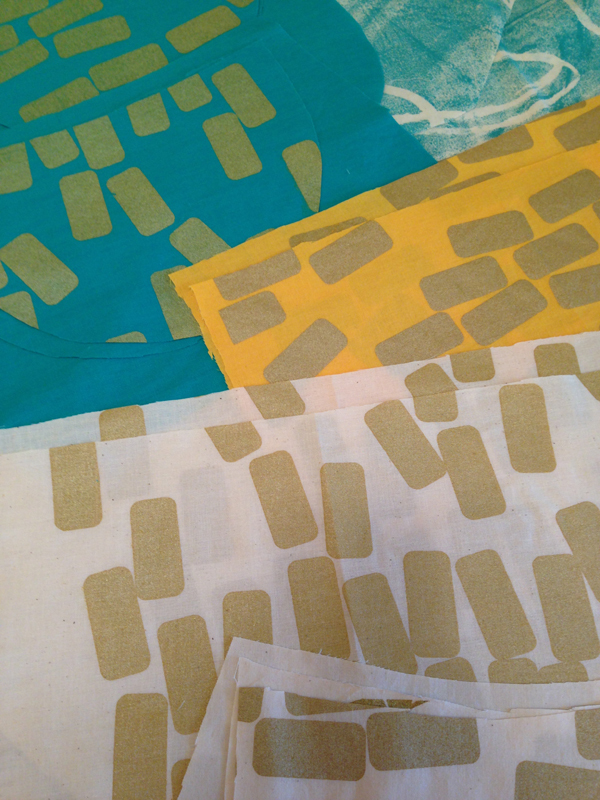 Screen printing fabrics to use in my sewing projects is my new passion. AS: What types of items will you be selling at the bazaar? JL: I will be selling handmade handbags and clutches. I am introducing some new cross-body bags and jewelry made from fabric too. About 60% of my collection right now is made from original, screen printed fabrics and sewn on the 3rd floor of my home, hence the name, On 3 Designs. AS: What materials do you work with? JL: I screen print using waterbased fabric inks on high quality quilting cottons, linens and sometimes denim to create all my items. Since I LOVE fabric, I carefully select commercially made fabrics that compliment my original line of fabrics. AS: How are your items made? Describe your process. JL: Each project starts differently. Typically, I create an inspiration board from magazine clippings, or my personal photos. (The pre-pinterest way!) I save a lot of images that I like even when I don’t know what I am going to do with them – people, places, color combos, etc. If I am printing my own fabric, then, I plan and choose the best method to create the silk screen (stencil, photographic process, etc), often starting with hand sketches or scanned photographic images. I hand screen print in my home studio or at Fleisher Art Memorial. Each bag is sewn by me using professional sewing techniques that I have learned over the last 18 years. I use multiple layers of interfacings and interlinings to keep the shape of my clutches, even when you carry your cell phone and keys. AS: Are you able to make your work full-time? If not, what do you do for your day job? JL: Yes! And I love it! About a year ago, I transitioned from a fulltime corporate job to officially launch my business. In addition to my core business, making handbags, I also teach fashion, sewing and textile design to adults and children at Main Line School Night, Chester County Night School and the Eilandarts Center. Occassionally, I take requests for custom drapes and clothing too. It’s been super exciting, a little stressful at times but always fun! Big thanks to my husband and daughter for supporting me through my new endeavor! AS: Who are some of your favorite artists? 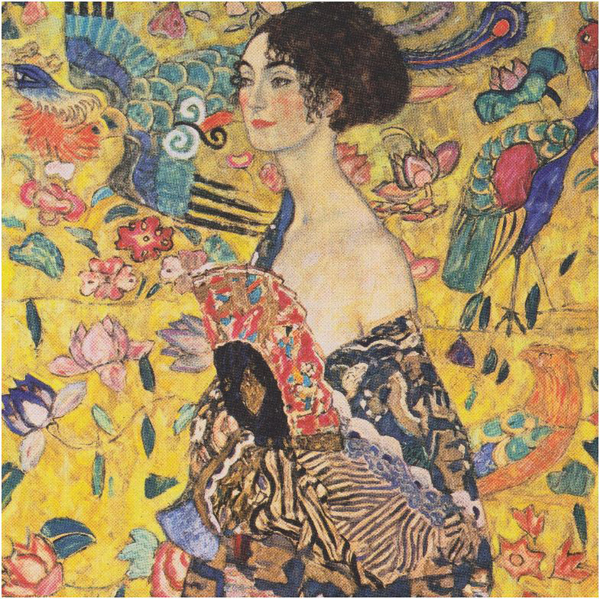 JL: My favorite artist is Gustav Klimt, for both his simpler sketches as well as his more popular paintings of women emblazened with shapes, textures, many, many colors and golden metallics. I would love to wear the garments these ladies are donning! AS: What are you reading/listening to right now? JL: Read? I am sewing ALL the time. No time to read though I do have a guilty pleasure…watching Shark Tank on TV Friday eves! AS: Where would you like to see yourself and your art/craft business in the next 10 years? JL: I’d love to offer clothing items in addition to fashion accessories with a small team of employees helping me to grow the business in to more retail shops. 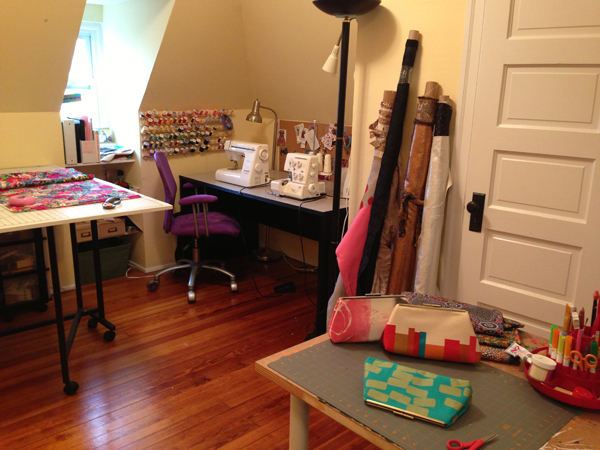 Julie’s studio – on the third floor! AS: Are there any bazaar participants that you are excited to check out this year? JL: I am looking forward to seeing Once Lost Jewelry. I was amazed last year by the re-use of materials, making each piece look interesting instead of just recycled. I’d love to have Michelle make me something from vintage jewelry pieces I have in my collection from my grandparents. This entry was posted in artist spotlight, ascb, events, Featured Artist, interviews, Uncategorized and tagged art star craft bazaar, bags, clutches, julie lange, on 3 designs, purses. Bookmark the permalink.